My dad called me Saturday morning just as I was flipping some pancakes for the kids. He told me he needed me to come over and get some stuff off of the back patio before it rained. 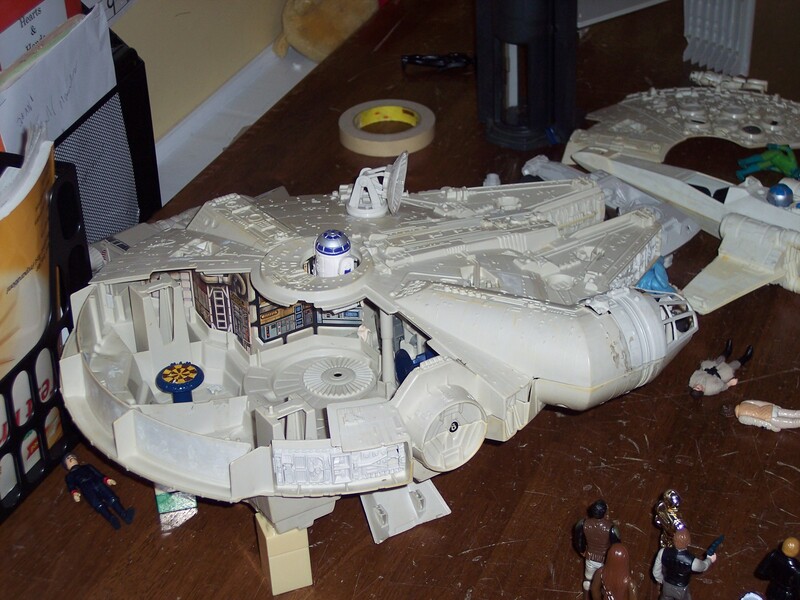 He had cleaned out some stuff from the attic and found a box of my old Star Wars toys. We just recently let our children watch Episode IV A New Hope. That was the first Star Wars movie ever released in theaters. 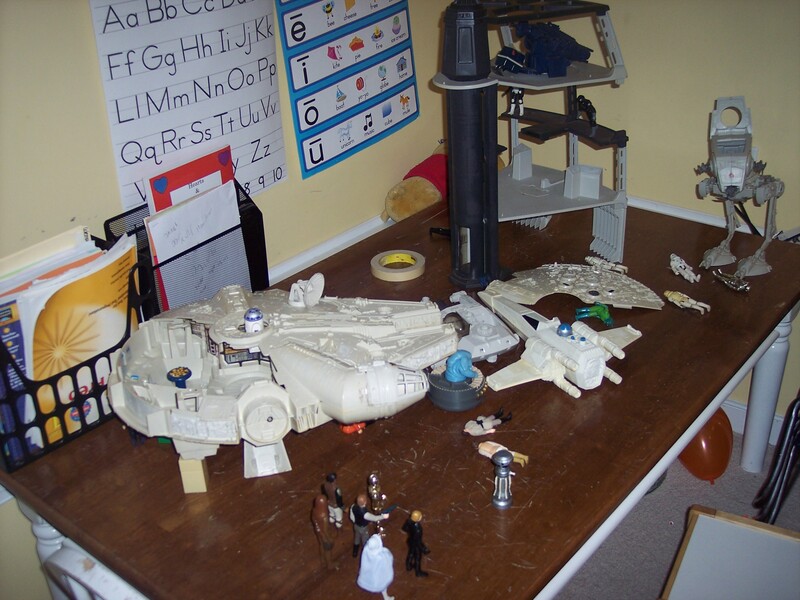 Some time ago we found my Star Wars figures over at my folk’s house and the kids have played with them non-stop since. Now my Dad adds to the frenzy by cleaning up some old dry-rotted Star Wars toys and setting them out on his back patio for me to give the kids. Needless to say, me and the kids had a great time playing with this stuff on Saturday afternoon. And now, from a galaxy far, far away but in stores as of Saturday – the new and improved model – where was this thing when I was 6 years old??? Four seats in the cockpit! Are you kidding me?